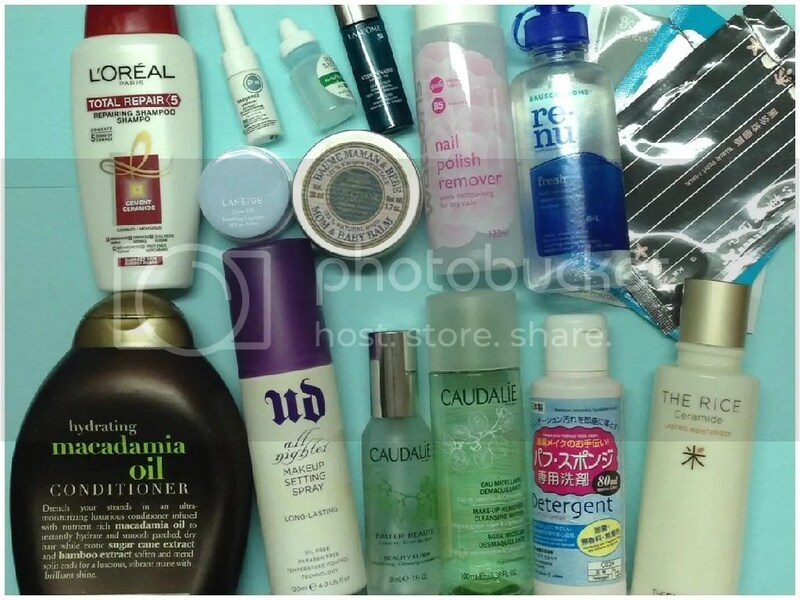 This is the first time – but I just have to do it; this month’s empties will be split into 4 instead of the usual 2, because of the amount of products is so much more than normal, and my backlog at work is so huge so I don’t have the time to sit down and write a post on 20 items at one go. So I’m splitting them into something more manageable basis, and hopefully I can get them all out in a week because I don’t want to be writing about August empties in October either! 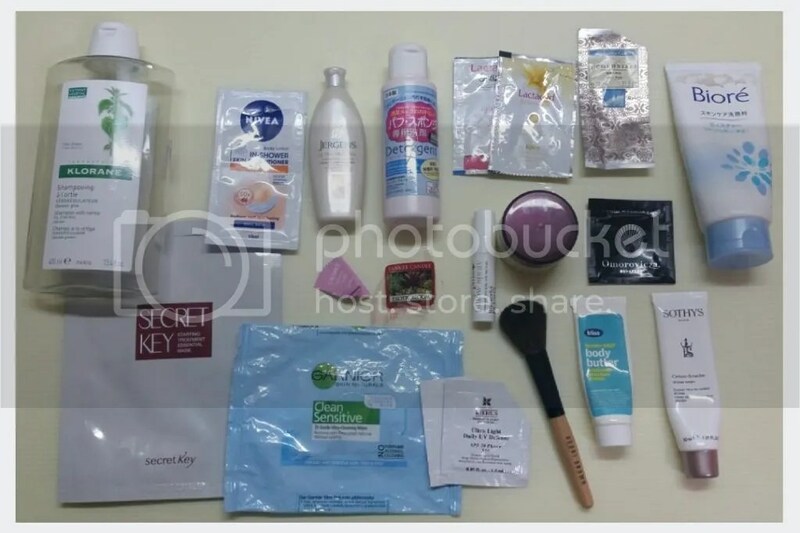 I know reading empties post after empties post can be quite boring, so please bear with me – I personally love empties posts! I’m not exactly an all-natural beauty products kinda girl – I just think that all those years and money into researching on chemicals and technology can’t be just to create something that’s worse off than what comes naturally right? But I’ve always been curious about natural products – if they are actually really that different as many claims, or if my skin will react to them. 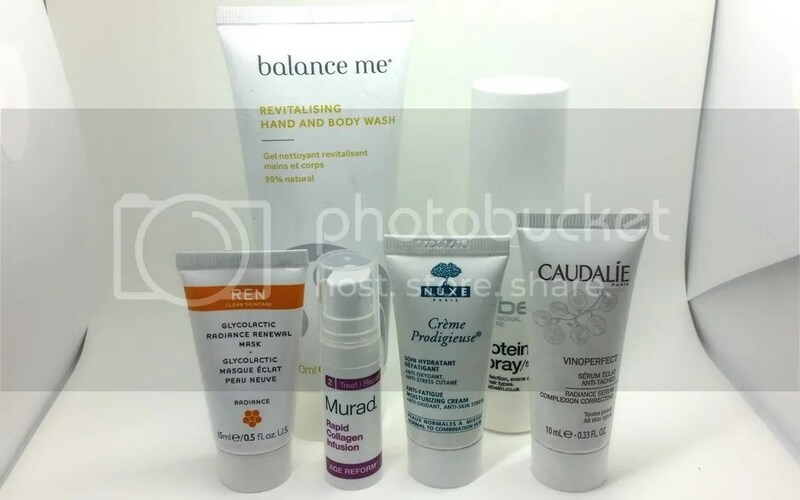 So when I saw this one-off beauty box from Naturisimo, a natural and organic beauty retailer, with 7 revealed items, for only £9.95, I had to get it! The theme is Travel Essentials – so everything is travel size. It’s been a while since I’ve put up a post! I truly apologise for the disappearance… between work and a broken computer, I just didn’t have enough energy to fix it on a regular basis only for it to fail again when the computer goes through another scheduled windows update. Meanwhile, I certainly haven’t stopped buying beauty products! I have tons of purchases just piling up on my bedroom floor waiting to be unboxed! 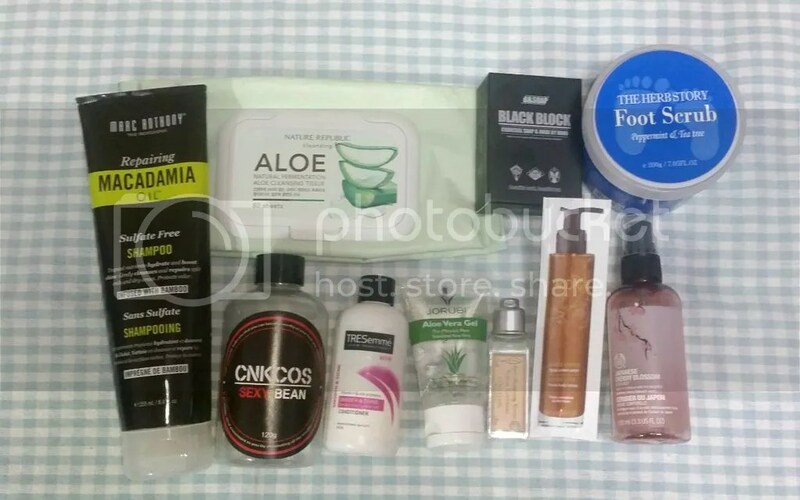 Let’s start off with this LookFantastic Beauty Box for June 2015! April was… oh, actually I have no idea what this past April was like because I was so crazy busy that I can’t remember what happened! It’s really been an insane month – tons of work, wedding planning, lots of gym sessions so that I can fit into my gowns later; I was so shocked when I saw my empties bucket filled – I thought there was no way I could have used up so much stuff in such a short time, then I realised that it’s the end of the month already! Anyway, let’s take a peek at what’s in there! 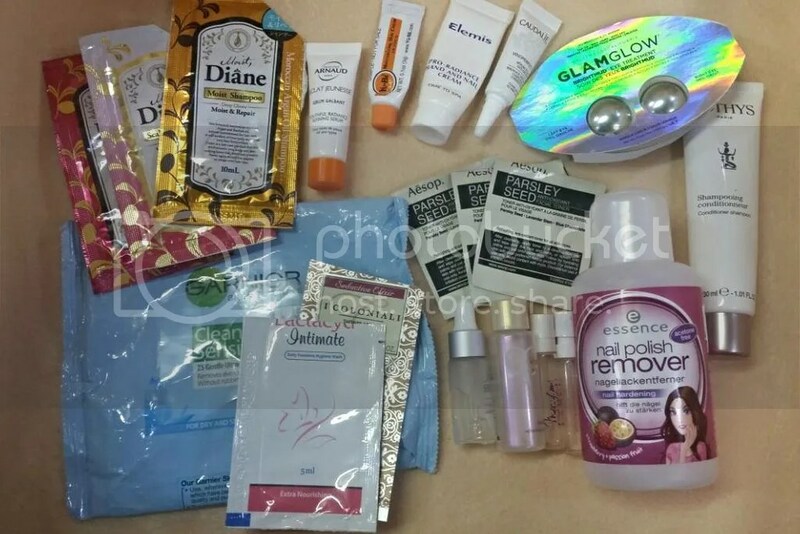 After the massive clearout of 26 items in January, this months’ empties look mighty small in comparison! But after counting them, I guess it’s still a healthy amount. Honestly I’m surprised that I still have empties after clearing out so many last month! Yay! A rather thick hair conditioner; I think it’s pretty average – I can’t use it regularly as it makes my hair oily and weighs it down. Used twice a week only at the ends of my hair, my hair feels softer and more manageable, but anything more turns it into an oily mess. My favourite makeup setting spray! This is the only makeup setting spray that really worked for me; I find that it really helps my makeup last through the day, even in Singapore heat! Will repurchase! I actually really like Loreal’s shampoo but I don’t often buy them. Maybe they’re just not as visually attractive on the shelves. I really enjoyed this shampoo – I feel my hair is more manageable with less tangles after using it. I really wanted to try this and was so excited when I received a sample, but was so disappointed; this did not stay put at all even on my very dry face – by mid day it was clearly gone, and messed up the rest of my makeup as it shifted around. If I powdered my face, I could see it clearly breaking down in patches as the BB cream “migrates”. Not pretty. Will not purchase. Reviewed here. Not a fan; will not repurchase. A rather thick and oily body balm; I’m neither a Mom nor a Baby, but because of my intensely dry skin I was recommended this. I do find that it soothes my skin when they are going through a “cracked and insanely dry” phase, but it’s also too heavy for regular use even for my dry skin. Initially I did not like this because I didn’t think it made a difference. But I wanted to use it up so I’ve been using it every night for over 2 weeks. One day, my mum suddenly asked if I’ve had facial treatments because “your black heads are gone”. OMG. I haven’t used anything lately that’s targeted at black heads, so it must be this! I’ll be getting the full size to make sure. I really adore the texture of this – it’s gel like, and feels cooling on the skin plus not sticky at all. Will look to purchase full size. I already own a full size bottle of this before receiving the sample – I would say, try to get a sample first before purchasing the full bottle, as this broke me out badly initially. I’ve learnt to prevent breakouts while using this – alternating this and never 2 consecutive days of using this. Another bottle down! I’ve lost count of how many of these that I’ve used up. Affordable and works just like any other more expensive brands. Not empty but expired. I don’t wear lenses daily, so I rarely finish a full bottle of solution before they expire. I used to love this and stocked up before I discovered the Make Up Store Brush Cleaning Soap; then I realised that this was stripping out my brush hairs, making them really dry and scratchy. I’ve since stopped using this for my brushes with natural bristles. Will not purchase after I finish my stash. Did not finish this item actually; but it has expired so it’s time to throw out. Was way too watery and not moisturizing enough for my liking. Reviewed here. Not a favourite. I use facial cloth masks regularly but never remember to keep the packaging. I did remember with these 3 this month, though I definitely use lots more in a month. I find that cloth masks dont really differ between brands in terms of efficacy, so I usually just opt for the cheapest. I really like the Leaders Eye Patch; slimy in texture and feels really good and soothing. Again, not many makeup related items. I’ve been clearing out my stash in other ways lately – by giving and selling some makeup away. 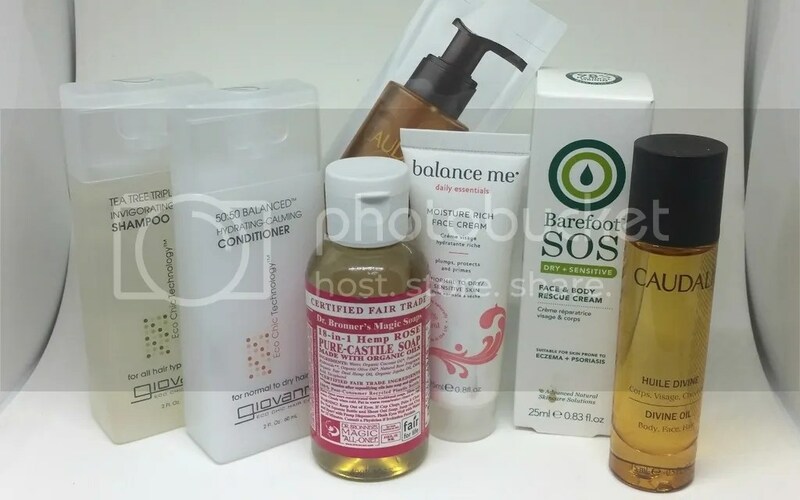 I’m really happy at how my stash is shrinking to a more reasonable amount as the months go by – I no longer have 5 bottles of creams that will expire in 2 months, nor a stock of 10 face washes. It’s still a huge amount and way more than an average person, but they’re getting more manageable. I’ve found writing on empties so therapeutic – because of my wanting to write these posts, I feel less of an urge to buy and hoard new products. I don’t know if anyone can understand this, but this is how I feel. I hope you’ve enjoyed reading this post as much as I’ve loved writing it! I seem to be running through quite a lot of makeup cleansing waters – but just as well, since I use so much makeup anyway! I’m always on the lookout for cleansing waters that can remove makeup a) even more easily, b) affordably and 3) does not dry out my skin. 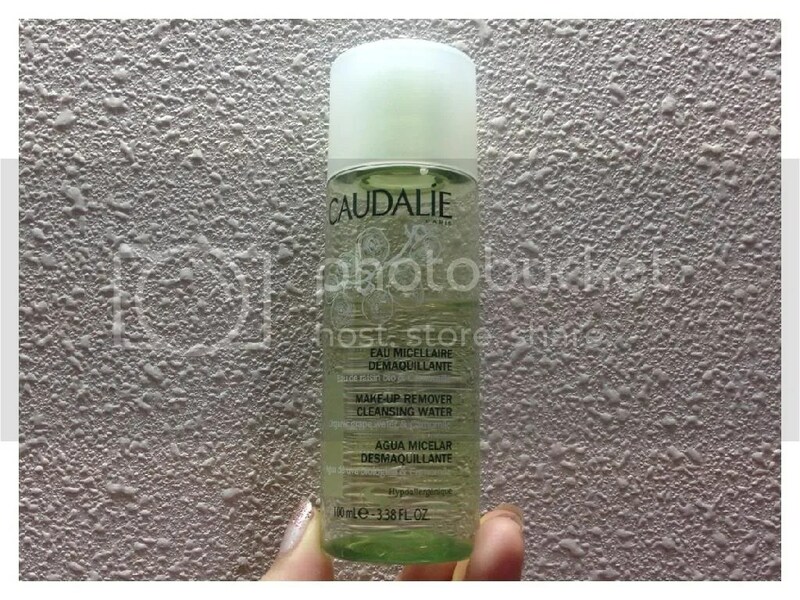 The Caudalie Makeup Remover Cleansing Water is a meant to be a “soap-free cleansing water that effectively removes makeup while cleansing and toning the skin”. It’s also free from parabens, phthalates, and sulfates – but not that I know what difference that makes, but I guess it’s good! This gentle formula removes makeup from the face and eyes as it soothes, moisturizes, and softens skin. There’s no need to rub for a thorough clean— a gentle cleansing base washes without stripping. The improved formula is now more natural, more effective, and gentler on skin. The texture and consistency is just like water. The packaging is simple, with a screw on cap and no pump, so to get the product out, just open the cap and turn it upside down. Unlike most micellar waters though, this is rather heavily scented – I did like fresh scent, but I would recommend giving it a sniff before purchase if you’re sensitive to smells. In terms of performance, I don’t think that it does that great a job. This takes quite a lot of a) product and b) cotton pads to remove a full face of makeup. Without help of other cleansers, it takes 3-4 goes across the same area to properly remove most traces of makeup. Like most cleansing waters, this failed at removing waterproof eye makeup. That said, it did not irritate my skin despite it being heavily scented, nor does it dry out my skin. I actually feel quite refreshed, and my skin rather soothed, after using it! I can’t remember how much this cost, as I got mine with points I had on a website, but a quick google shows that a 6.7oz/200ml will cost US$28 in the US or €14.40 in Europe. That’s pretty pricey for me, as there are a lot of affordable Japanese brands of cleansing waters available here in Singapore that does a better job, so I won’t be repurchasing this.